Reading and share top 1 D Biswas famous quotes and sayings. 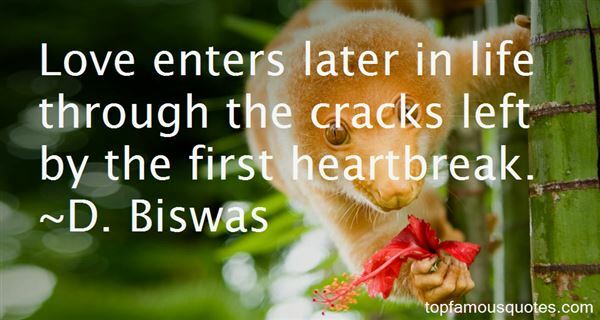 Browse top 1 most favorite famous quotes and sayings by D Biswas. Peace comes by knowing you're dearly loved by the Lord, Who gives to His children the Holy Spirit to dwell within, to make their witness strong, so that one day they will be as a tree, fruitful and blessed with the wisdom of the forest."